The 2018 MXGP World Championship is running at a rapid pace towards the finish line. This weekend the series will witness its penultimate round at the TT Circuit Assen, the home of this year’s MXGP of the Netherlands. For this event, Tim Gajser and Calvin Vlaanderen will finally be joined by third Team HRC rider Brian Bogers, who is set to make his premier-class debut after being sidelined by multiple foot injuries since last November. Bogers, along with his two team mates, yesterday completed a two-day test in Deurne in the Netherlands in order to get ready for the round ahead and find a good set-up for the sandy, “ad hoc” Assen track. The young Dutchman surprised everyone with his speed and, even with a considerable lack of track and racing times, he is looking forward to getting back in action. 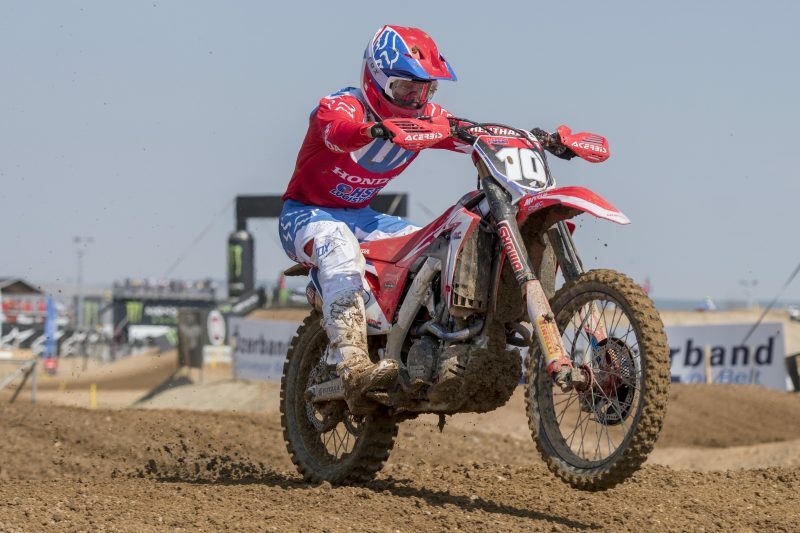 Tim Gajser has been on a roll of late, with last round’s performance at Afyonkarahisar being his best so-far in the season as the recently-turned 22-year-old Slovienian was the only one able to ride at Jeffrey Herling’s pace throughout the weekend. Sand might not be Gajser’s favourite surface, but the two-time world champion is eager to do well in order to close in on third place in the standings. Calvin Vlaanderen’s weekend will begin with an official event involving the riders defending the Netherlands’ colours at the upcoming Motocross of Nations at the Red Bud motocross track in Michigan, United States. Calvin is aiming to bounce back from a streak of challenging performances – and an unfortunate setback – in the past four rounds. Motocross action will begin on Saturday morning at 11:30 with the 25-minute, MX2 free practice which will be followed at noon by the MXGP FP session.